It is a very straightforward process to become a licensed home inspector in the state of South Carolina. Complete a South Carolina-approved 50-hour home inspection course or perform 50 paid home inspections. NOTE: Inspection Certification Associates is an approved home inspection organization in South Carolina and our online home inspection training course is fully approved to fulfill the 50-hour training requirement. Take and pass the South Carolina State Home Inspectors Exam. Start your own business or go to work for an existing company! Upon completion of the course, you will be an ICA Certified Home Inspector. We will issue you a certificate number, which you can use on your business cards, website, and inspection reports. Got more questions? Read on for more information about South Carolina home inspection courses. As stated above, once you complete our online course, you become a certified home inspector. Upon completion of the course, we mail out your home inspection certification and issue you your certification number. That number is what you’ll want to put on your business cards and home inspection reports. You also will need to take the South Carolina home inspectors exam, for which we prepare you. The average salary for a home inspector in South Carolina is approximately $69,000 per year. The average fee for a home inspection in South Carolina is $360. The amount you charge for a home inspection will vary based on age and square footage of the home. As part of our course, we teach you how to calculate a proper home inspection fee. Yes, we include our mold and radon certification courses free of charge to students who enroll in our online home inspection course for South Carolina. Does a home inspector need to get on the roof of the home? No. Home inspectors should not go on the roof of the home during the inspection. Per current standards of practice, the proper way to inspect a roof is to stand back and use a good pair of binoculars. Some home inspectors have even started using small drones to inspect a roof, but that is not very common yet. Over ninety percent of home inspectors use the binocular technique for inspecting the roof of a home. Do you mail me a hard copy of my certification? Yes. We mail out your home inspection certification to you upon completion of our online course. We also mail out a wallet-sized, laminated copy of your credentials. We have an arrangement with www.homeinspectionform.com wherein our graduates receive a free copy of their Report Form Pro 2 home inspection reporting software. That is the report that most of our graduates start with since it is so easy to use. Normally selling for $400, the Report Form Pro 2 home inspection report software can be printed and filled out by hand or filled out on your smartphone, tablet, or computer. You can even put in photos easily. They also have a mobile app version of their home inspection report that can be used on an Android or Apple mobile device. At the end of the day, all that matters is that you have a home inspection report form that you’re comfortable with, and these are both good home inspection report options. 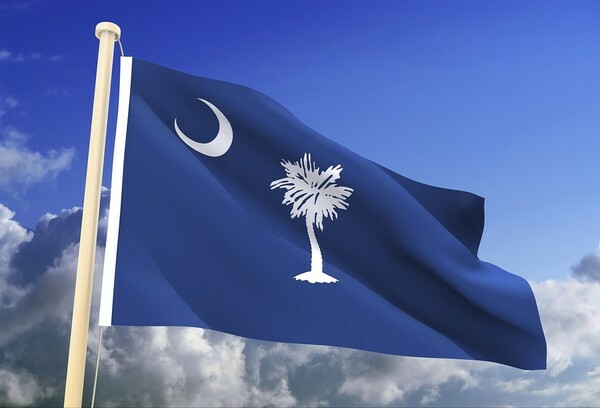 Is there a time limit for the online home inspection course for South Carolina? Yes. We provide you with a list of tools needed. The total cost of the tools comes out to a little under $200, including the non-invasive moisture meter, combustible gas detector, etc. No schools are allowed to give the home inspection exam in South Carolina. That test is given by a third-party testing company. Actually, the way it works is once you complete our course and pass the South Carolina exam, you will send the board a copy of your certification from us along with your score sheet from the South Carolina exam. Then you will be issued your home inspection license. Yes. In fact, the majority of our graduates will start their own successful home inspection business after completing our course. We also train you on the whole marketing and business start-up side of things, and we’re here to support you every step of the way. What if I have questions during the online home inspection course? We have full support for all students and graduates, both during and after the course. Even if you have questions when you are out in the field performing a home inspection, we can assist via email, phone, or text. Do I need to be a contractor to be a home inspector in South Carolina? No. We train students from all different backgrounds to be successful home inspectors in South Carolina. Although a contractor background can be helpful, it is definitely not necessary to become a home inspector in South Carolina. It doesn’t matter whether you want to become a home inspector in Charleston, Columbia, Myrtle Beach, Greenville, Hilton Head Island or Clemson; our online home inspection course can be completed from anywhere. What are you waiting for? Enroll now and begin a new career as a home inspector in South Carolina today!